hwæl-weg, m.n: the path of the whale, the ocean, the ‘whale-way’. Image: Thomas de Cantimpré, Liber de natura rerum, Valenciennes, BM, ms. 320, f. 111v. Ca 1285. 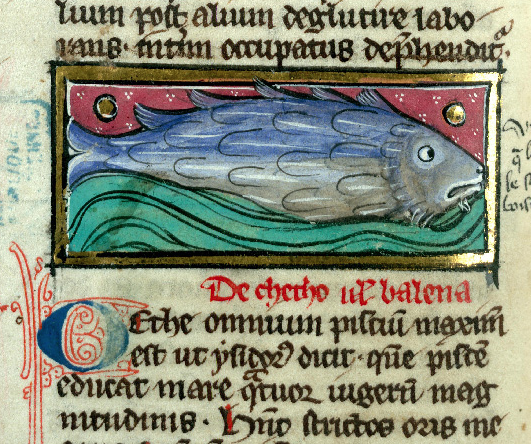 From Medieval Animal Data Network. This entry was posted in animals, places, travel + trade, water and tagged Old English. Bookmark the permalink. Oh, it worked excellently, don’t worry, and I applaud a good pun!